15 Monthly Beauty Subscription Boxes You Must Try in 2016! UPDATE: We’ve since updated this list for 2018! Please check out the updated post for the most up-to-date information on these subscriptions (and many new ones). I’ve been reviewing beauty and makeup monthly subscription boxes for years, and I thought it was time to put together a list of the boxes I’ve been most impressed with and the ones I’m most excited for in 2016! Here is the list of the 15 monthly beauty and makeup subscription boxes you must try in 2016! Check out my Ipsy reviews to learn more about this subscription box! 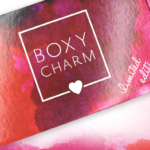 Check out all of our Boxycharm reviews to learn more about this subscription box! Check out my Yuzen reviews to learn more about this subscription box! 4. Target Beauty Box – Varies in cost (Usually $7). Why it is a must: The only thing bad about the Target Beauty Box is that it isn’t an official subscription yet! Target releases new beauty boxes about every other month, and they sell out within hours because they are that good! The value is always great, they come with Target coupons, and they have a good mix of samples and full-size items. Also, a pro-tip from fellow My Subscription Addiction readers – save the Target Beauty Coupon in your box to use on your next Target Beauty Box purchase! Check out my Target Beauty Box reviews to learn more about this subscription box! Use this link to save $5 off your first month. Why it is a must: In early to mid-2015, Allure Beauty Box was a little bit of a roller coaster ride when it came to box values, but lately their values and sample sizes have been consistently great! They typically feature 5-6 samples with high-end brands like Benefit and Alterna. Check out my Allure Beauty Box reviews to learn more about this subscription box! Why it is a must: Birchbox is one of the original beauty boxes, and one of my favorites for discovering new beauty brands. (They also have recently launched their own in-house brands). Each month you’ll get 5 beauty samples (haircare, skincare, makeup, nail polish, fragrance, etc.). Another thing I love about Birchbox – they let you pick one of your samples each month! It’s a great way to pick out one item you know you want to try and still be surprised by the rest of the box! Check out our Birchbox reviews to learn more about this subscription box! Use this link to get a free box when you sign up for a 3-month subscription! Why it is a must: Julep is the perfect beauty subscription if you want to expand your nail polish collection, and you want to have complete control over your beauty box. Each month on the 20th, subscribers get to pick out the items in their boxes from the new nail polish and beauty product collections. Everything is full size, and you can get 2 nail polishes plus a full-size beauty product of your choice each month for the cost. (You can also go for all nail polish, or all beauty products – they give you all the customization options). Check out my Julep Maven reviews to learn more about this subscription! Use coupon code BOX10 to save 10% on your first month. Why it is a must: Cocotique is a subscription box that caters specifically to women of color. Each month they send 5-8 beauty and hair care items. (Usually a mix of samples, deluxe and full-size items). They also offer amazing value limited edition boxes throughout the year, and they sometimes have brand takeover months, where you’ll get several full-size items from one brand. Why it is a must: New Beauty Test Tube may just be the original beauty subscription box and it is still going strong! This box ships every other month, and they deliver a lot of full-size and deluxe-size products. The one caveat – sometimes they are guilty of repeating brands/products in their boxes. If you are a subscriber for years, this can get a little frustrating, but if you are a new subscriber it shouldn’t be an issue! Check out my New Beauty Test Tube reviews to learn more about this subscription box! Why it is a must: This is another high-value box compared the cost. (Usually around the $100 mark). They typically provide a good mix of makeup, skincare and haircare products. (More haircare than most other beauty boxes). If you are looking for a good variety of items with a high value, this one almost always delivers. Check out my Beauty Fix reviews to learn more about this subscription box! Why it is a must: This one gets mixed reviews on our site, and for good reason – Walmart sends out extremely varied boxes each season. Some subscribers get awesome boxes with full-size items like makeup and deodorant when other subscribers only get samples and foil packets. However, I put it on the list because 1. $5 beauty box and 2. If you like a gamble, the risk is somewhat small, and it can really pay off. Check out our reviews of Walmart Beauty Box to learn more about this subscription box! Why it is a must: If you are looking for vegan and/or natural beauty products, this box is for you! (Also see Vegan Cuts Beauty Box, below). Petit Vour focuses on quality over quantity, so you can expect usually 4 samples, some of which may be full-size. I’ve discovered some great new brands from this subscription, too! Why it is a must: This is another vegan beauty subscription box, and great for vegan and natural products. Each box includes 4-7 products, and they are usually good about including, at least, one or two full-size products! Check out our reviews of the Vegan Cuts Beauty Box to learn more about this subscription box! Check out our reviews of Essence Beauty Box to learn more about this subscription box! Use this link to save 50% off your first box. Why it is a must: If you are looking to color your hair at home and want to get a very customized experience (AKA – much better than picking out a box of hair dye), this is a great and affordable subscription. Their stylists will work with you throughout the process to make sure you get the exact color and dye instructions you need. Check out our review of the eSalon Custom Color Box to learn more about this subscription box! Why it is a must: If you are lucky enough to get off the waitlist for this subscription, make sure to sign up and never let go! (This box launched in beta to test markets in 2015, and I think it has created a level of #boxenvy we’ve never seen before). Sephora is sending good sized samples from high-end brands and some of their own branded products. Once they launch nationwide, I expect them to be at the top with Birchbox and Ipsy! Sign up for the waitlist for Play by Sephora. Glowing Beets ($29.95 a month) is new natural beauty subscription box. Each box includes 3-4 deluxe-sized samples or full-size beauty products made with natural and/or organic ingredients. Use coupon code 10OFF to save 10% off your first box. Check out our Glowing Beets reviews to learn more about this subscription box. Jouer Le Matchbox ($45 a quarter for subscribers, $65 as a one time purchase) is a quarterly subscription from Jouer Cosmetics. They include full-size Jouer products (usually with a total retail value over $100), and they also offer a warm or cool tone box depending on your skin tone preferences. Check out our Jouer Le Matchbox reviews to learn more about this subscription box! Terra Bella Box ($37.95 a month) is a new beauty subscription box that sends you 5-6 small-batch natural beauty items a month. (They also offer a Lite version of the box which sends 2-3 items a month). Use coupon code is MSABONUS to get an extra item in EVERY box when you subscribe to any pre-paid subscription plan of Terra Bella Box (does not apply to Terra Bella Box Lite.) Or use coupon code MSAFAN to save an ongoing 10% off the month-to-month subscription price of Terra Bella Box (does not apply to Terra Bella Box Lite. Check out our Terra Bella Box reviews to learn more about this subscription box! LaRitzy ($24.99 a month) is a new non-toxic beauty subscription box. They send a mix of full-size and deluxe sized samples. Use coupon code ADDICTION10 to save 10% off your first box! Check out our LaRitzy reviews to learn more about this subscription box! GoodBeing Box ($21 a month) is a natural and organic beauty box. They send a mix of full and deluxe size samples each month customized to your profile. Honest Beauty ($50 a month) is a new beauty subscription from Jessica Alba and The Honest Company. You can pick any 3 full-size items in their skincare and makeup lines for $50. Get a free trial of skincare items based on your skin type for $5.95 shipping – no code needed. Just use this link. Check out our Honest Beauty reviews to learn more about this subscription box! What do you think of these makeup and beauty subscription boxes? What are your favorites? All these ppl I see that have great things to say about BoxyCharm and I’m over here like Yayyyy my 3rd month in a row on the wait list. These are the evey body prty collections!! See, I really like ipsy and I am 22 years old. I have Sephora play, but so far I am unimpressed. I disagree that ipsy is better for teens because they give you some pretty great sample items, plus their points are really easy to rack up after you do reviews on the items. PLUS if you review the items you not only earn points, but it helps to tailor your next box. I’ve had ipsy an ipsy subscription twice and the first time I got tired of it because it didn’t seem to match anything on my profile I created with them. However, a coworker would receive hers monthly at work and it was too tempting. After reading into it I realized that I just needed to review my box and then they would tailor it to better match my likes and dislikes. So this past month I received some great products lining up with every like on my profile. From lip color/texture to the type of hair product, it was great. Did I mention the points? The only thing I dislike is that their promotions/giveaways deal mostly with Instagram and I don’t want to cover my Instagram with contest entries. Another complaint would be that the things you can redeem your points for sell out FAST. Now my issue so far with Sephora play is that you cannot go back and look at the samples you have received, so I either have to hoard the samples or buy them immediately (I mean yes, I could keep a list, but an electronic copy that makes it easier to find is so much more ideal). Sephora racks up points fast and each box earns 10 points and you get a coupon with the bag that earns you another 50 points in store. Another issue that I’ve had so far with Sephora is that I cannot review my products, so they have no idea of what not to send me. No where in my profile does it say I want shimmer or anything with glitter for my body/ face. So I don’y want to spend money on another bag that is mostly that. It seemed more tailored for a child. I had sephora play they do keep an inventory of everything sent in your sephora account. Just go to sephora play when you log in to sephora and click on the play button it should come up with past boxes. Didn’t the Essence box go out of business? I thought back in Fall 2016 they discontinued the box. I was just going to say that…that Essence stopped doing the box so you need to update this list if you’re calling it “…to try in 2017.” A good alternative is Onyxbox. It costs more, but it’s great. Has anyone tried so choix yet? I heard it’s $15 a month, and you get to choose what you want them to send you. They have high end brands like chanel, dior, and many more. Also I think they have a points system where you can redeem them for full size products I heard. I think I’ll give it a try this year. If anyone has tried so choix, could you tell me how you like it? I absolutely love So choix. They do have the higher end brands, and tons of choices. The samples are small but you get a lot of uses out of it. The point system is good, and customer service is outstanding. It’s worth a try. Boxycharm is the best. 5 full size products every month. Your makeup collection will build fast. Always worth over a hundred dollars retail. Next month has a tarte pallet coming in it worh 32 dollars. It is 21 a month but well worth it. For a long Tim I jumped on every Target box. Lately I haven’t bought any I have enough dave body wash and shampoo and conditioner trials to last me for years. I tried Sephora Kay, and was not impressed with the teeny tiny samples. I also had the Walmart box. Now I get Boxy Charm, and it’s fabulous! Full size products, well worth the price of the box. Only one I need! Which boxes are best for teenagers. Most interested in monthly boxes that are mostly makeup. I am 14 and I got a 6-month subscription to Ipsy last Christmas and I renewed it because I love it that much. I love makeup and I am a YouTuber so I wanted to see what the hype was about. When you sign up for Ipsy you get to take a quiz so it will personalize the products to your liking. If you are searching for a monthly subscription I highly recommend Ipsy or Birchbox if you want something more high-end. I would suggest ipsy also. They are my favorite of the 8 boxes I’ve tried, partly because they send almost totally makeup, once in a while a brush. I get skin care sometimes, but I requested it on my profile. They also have a young vibe if you interact with them online at all. It reminds me a lot of Nylon magazine, if you’re familiar with them. I get both ipsy & Spehora Play, I would say that you would probably like Sephora much better. I feel like that send products that are valued at a higher price point and are fun to use. I agree with the crowd here…Ipsy! (Yes Sephora Play has higher end items, but I think Ipsy has more items a teen would love). Plus that bag, and the social media aspect of it. Benevolent Beauty should be here. It’s at least on par with Boxycharm and is all cruelty-free. It’s under just $30 a month. I am looking for the best boxes for the over 40 crowd- thoughts? I haven’t been getting beauty boxes for real long, but I have been over 40 for a while. I think a lot of it depends on how much skin care you want, and/or if you want more “serious” colors of makeup, and/or how much the “vibe” of the box and accompanying vlogs, etc, matter to you. I was getting ipsy and Birchbox at the same time for a while. I felt that Birchbox’s target audience is a very adult career woman who has class, elegance and poise, the kind of woman who might read Vogue or W. ipsy feels more about hanging with your friends, playing with makeup, having fun, with the vibe of a magazine like Nylon. I mentioned this recently in a post here comparing Birchbox vs. ipsy, and someone said I described it very well. Birchbox has been going downhill lately, with very small samples as the products they feature are higher and higher end. I canceled Birchbox and went with ipsy, I my last couple of ipsy bags have been wonderful. However, if you aren’t into the videos and such,, you can base your decision solely on the types of things you might get. When I discovered MSA and alllll these wonderful boxes, I used this guide and chose a few that sounded like what I wanted, then went back thru reviews for a few months to see which boxes carried the sorts of things I would like. I also signed up to get MSA’s daily newsletter so I could read about other boxes. I ended up trying Beauty Box 5, and I love it. I hope this has helped a tiny bit! Uithoven am 53…and I love Boxycharm. It is full size products and I just love the quality. All products are fantastic and great colors for our age group. Not too crazy and not too dull. Try some of the Korean ones – they have an over 40 box -maybe it is Bombi box? Thank you so much for including products/boxes for women of color! I was looking at this for gift ideas just assuming there would be nothing that would be worth it for myself because of my darker skin tone but I was pleasantly surprised! Just an FYI, Essence Beauty Box ceased operations. But, if you look in the MSA directory, there are a few other boxes designed for WOC. I need help choosing between ipsy and birchbox!! I’m more into skin and hair products but at the same time I would like to try mascaras and stuff! Which is a better choice?? I am living in Mongolia and am in dyer need of some vanity. My income is extremely limited at the moment so a beauty box is perfect. However, most of them deliver only within the U.S. or have really high shipping rates. Can somebody more experienced let me know which brand would be my best option? THANKS SO MUCH! I have only had 2 of these subscription boxes, ipsy and boycharm and i just cancelled my ipsy. I wasn’t getting anything even remotely worth 10 dollars a month and they kept sending the same colors of lipstick and shadows, and tons of stuff i didn’t even click on in my profile. Boxycharm is AMAZING i can’t even believe the stuff that i get. I don’t really have to buy makeup anymore other than foundations and concealers. I was wondering about the organic/natural boxes though, can anyone give me some info on which they think is best??????? I agree I want more information regarding the natural boxes. I was so excited to try subscribtion boxes so i ordered glossy box, ipsy, birchbox, mask maven and bb bag. I loved glossy box at first but, then i started getting not good stuff so i cancelled. But customer service was good.. I cancelled my bb bag and mask maven because customer service was nasty to me. Ipsy i still have and birch box. Im thinking about trying boxy charm in place of glossy box. I finally got my first target box i was happy. And my walmart boxes too. I highly recommend Boxycharm!! I love their boxes. I have tried almost 30 boxes. I try one for a couple of months then decide if I want to keep it. If I cancel it then I try a new one. I have kept over 20 subscriptions and only canceled a few. Feel free to ask my any questions. My latest discovery that I feel in love with is the Vegan Cuts Makeup Box. It’s a quarterly box but I love it!! I’m getting my second Vegan Cuts Beauty Box this month. I liked the October Box but not half as much as the Vegan Cuts Makeup Box so if I don’t like November and December, I will cancel it. I hope that you love the next box you try!! Hi All…I was one of the first testers of the Sephora Play box and thought I would give my thoughts on the box. It is OK not great as one poster put it…it is sample sizes that you can get for being a beauty insider. I have thought about canceling my subscription because most of the time the products are not really that exciting. One of the boxes that I got for quite a while was Beauty DNA. It cost $25 a month with free shipping and again was one of the beta testers. You filled out a profile of what you wanted to try in regards to skin, hair and body. They would send you 1 full size product to try. I would say 98% of the time the product cost way more then the price of the box. I cancelled my subscription because there was no consistency of products. One month it was hair, the next body and the following month was skin. Sometimes I got a skin care product I really liked and would have loved to tried another product in the line. i have been subscribed to ipsy for about 9 months and at first was very excited and always pleased but recently it has been awful!! I don’t use eyeliner but every single month i get it in my bag along with a couple other tiny almost useless samples! very disappointing as i have always been a huge ipsy fan! im currently subscribed to boxycharm which i love! just subscribed to birchbox a couple months ago and so far i really like them! just got off the play by sephora wait list so august will be my first bag! so excited! after reading this post Im considering trying glossy box? or i’m open to ANY suggestions? Sabrina keep us posted! I’m on the Sephora wait list and I’m considering Boxycharm. I currently have Ipsy and Birchbox. Will probably cancel Birchbox as soon as I get off the Sephora wait list unless they start sending me products I can actually use. Absolutely LOVE boxycharm!! And I will definitely keep you posted on Sephora! The reviews on Sephora are not good. I was going to try it because it is open now. After I read the reviews I decided not to. They said the products are 100 point items. BoxyCharm is an awesome box. I’ve had it for a yr now. I would cancel both and switch to boxycharm…i seriously got the best eyeshadow palette every and it was a $50 palette! usually everything in it is worth the $21! I have heard some mixed reviews with the sephora box…a lot of people were saying that you get stuff they can’t sell which i believe, a lot of the pictures i’ve seen of peoples boxes, i have got at sephora as free samples or that come in box sets…and a lot are past birthday gifts they give you, so you probably have some of the stuff. I have Sephora Play since june. It’s been less than exciting. Same samples I get in the store for free. Nothing that exciting for the 10 bucks in my opinion. I’ll save my money for the larger boxes with full size samples. I am also just about done with the cheaper $10 boxes. I would much rather spend a little more to get better items. I have been following the LF box for a little bit now so I’m pretty sure that will be replacing my BB and ipsy for September. Isn’t the LF box from the UK? Do they ship to the US? Yes they ship to US and the boxes look great!!! I have the LookFantastic box and for the most part I really like it. But I tried ordering from their site an one item I wanted couldn’t be shipped to the US and the free gift with purchase could not be shipped here either so that really disappointed me. I receive or have received almost every box on the list and a few others in the last few months if you have any questions I will gladly answer. I agree. I canceled my Sephora Play! because I just wasn’t getting anything worth saving. My skin is pretty sensitive and I have the face products that I use that help keep it clear. I felt like Sephora was giving me mainly all face products. Not enough make up. And to boot, they were all super small samples that I could get every time I made a purchase through them. My friend has Ipsy and loves it, so I am trying that one. May try birch box too. I absolutely love glossy box. Ive been subscribed to it for almost a year now and i dont ever want to let it go. Always great, mid to high end products. Lots of full size. I was surprised that it didn’t make this list. I agree, I love Glossybox but m canceling my Beautybox5, Birchbox, and possibly Ipsy. I tried to check out the Jouer Le Matchbox that’s mentioned aftER the list but it’s not available. This website has made me a subscription addict, lol!! I get over 15 boxes! I also LOVE Glossybox and cancelled Ipsy and BB. i too was not happy with ipsy. they always sent me bland light colors, my palate was BOLD and trendy. everything from nailpolish to lipstick was either tan, brown, or rust colored. i complained monthly to no avail. i dont know why they even have a preferences list. the products were fine for people who wanted that, but i got tired of getting things i never ever used! i had to cancel for that reason. not for the quality. to be fair, the products were good quality. I love glossybox, must of their items is full size and the brands are really good. I’ve been with glossy for a year now and couldn’t be happier than I am! Give it a try! Glossybox is awesome and I also love Boxycharm! They are both $21 a month and because I can’t decide which I like more, I get both!! I hope you enjoy which ever one you choose! ! Uh, I feel the same way about Ipsy. I am waiting on my October bag to arrive and this will be my 4th month/bag that I have received. Every month when they post the products they will be choosing from there are always about 6-10 items I am ecstatic about possibly getting. Well, I have never received one of the items I wanted. It’s always 5 items that I didn’t care for. Did you end up canceling your subscription?? I have had ipsy since july.. I have gotten eyeliner and mascara but I have also gotten, blush, eye shadow, primer, lip stuff, oils, brushes. My favorite is onomie face primer I LOVE IT! Trying to convince myself in spending the 65 for the full size. there has been a few items that i wouldn’t use… but every month I watch the reviews on brichbox and I think Ipsy is MUCH BETTER! I keep wanting to try Brichbox but there hasn’t been a box yet I had to have. I’ve been getting the Walmart Beauty Box for a while now. They send out one box for each season for a total of 4 per year and it’s $5.00/box. In some boxes I have received full sized items. One was an item that retailed for $25.00 and I got it for $5.00. The other products you get are travel size. I’ve never been disappointed in the boxes I have received and for $5.00 you really have nothing to lose. They also include coupons for the products if you end up liking them and want to purchase. Oh yes I have the walmart sub as well and can’t complain, for $5 ya can’t really go wrong and I have been pleasantly surprised so far! For those that don’t know, there after 2 different Walmart boxes!! I ordered one for myself and a gift for my sister. We always get different items! So we swap with each other when ever we get them! Yes there is the trendsetter box which is for younger people. Then theres the classic but you can always order both for yourself. They go by your birthday.I think over thirty something you get classic but. octobers boxes were great. I’m surprised you chose not to post GlossyBox as one of the 16! The customer service is as fantastic as the box itself, but some of the ones you did list have neither decent customer service nor a great box! I think I’d pull IpsyBag and insert glossy box in its place! Look for customer service numbers ladies before you sign up or it will be a nightmare if something goes wrong to get it resolved! I will vouch for GlossyBox customer service it’s great! I agree. Glossybox has AMAZING customer service. There was a postal issue with last months box. I contacted them and they had a new box delievered to me in 2 to 3 days. I think they even threw extra in there for the inconvenience because i recieved 2 extra products then I normally do. And almost everthing was full size. i agree !! i totally LOVE GLOSSYBOX !!! its One of the ..IF not The Best!!!! and i hae tries plenty of them.!!! No Korean Beauty / Skincare boxes? I’m so addicted to Love Pink Seoul. MishiBox and BFF Masks. Yes I have a sub box addiction! And I didnt even mention my non K-Beauty! I’m sure you’re getting to it, but I think this needs to be updated to reflect Birchbox’s recent change. I’m not saying remove it from the list or anything, but I would hate for potential subscribers to think that they’d get half their box back in points when that’s no longer the case except for their very first box. Yes! I hate birchbox now. Me, too! And then I went to sign up for ipsy and they put me on a waitlist that I can get off of but only if I invite my friends on Facebook ANND share about them on Facebook. Crappy. Email and tell them u do not have facebook or social media. They got right backroom me. I’m off the wait list and my first box is on its way. I will not b bullied in to bothering folks. It’s intrusive and nervy. that is sooo true. Lol..
Dont like BB either! Cancelled mine. Birchbox is the worst!!! Teeny tiny samples that aren’t even worth $2/sample. But the biggest turn off is the customer service! Horrible! Nasty, unprofessional, and incompetent. I gave them a shot for 3 months. Every month was crap I threw away, and every order I made from there store had a problem. Damaged product they did nothing about, returns they “lost”. Then after sending them the tracking info they said they gave me the wrong return label, and would issue refund even though they “never received my return”. Then they refunded my item $2 less than what I paid! I was so turned off by customer service I just ate the $2 loss. I’ll never buy anything from them ever, and certainly not recommend! I was looking for a GlossyBox review too! GlossyBox is my first beauty subscription and I’ve been loving it. Need advice on box ideas for a Mother’s Day gift. Need a one time non sign up box, mom doesn’t check emails so… Harder to give those as a gift. The Price of the birchbox one for 64 is too high for my budget, yes even with the coupon.. The other doesn’t have enough makeup.. Looking for the 30 to 40 range… I know I should probably put this in the forums but they make up sign up again… So tired of multiple logins.. I need guidance, fellow MSAers! I cannot decide between Boxycharm, Glossybox and/or Beautyfix. I might be able to swing two of them, but need assistance on which you guys think is best in terms of products/quality/value, etc. (I aim to replace IPSY and Birchbox subscriptions that I currently receive)…. Suggestions? I got boxycharm and I love it. It’s the only subscription I have, and I’m so glad I chose it! Beauty fix is the best for skincare products. I have it and Allure and feel I get the balance of Beauty/Skincare between the two. I love my Ipsy. I got 2 boxes from boxycharm and then unsubscribed (wish I didn’t) so I now have, IPSY, BOXYCHARM & Birchbox! Love all 3. You said you received 2 boxes from boxycharm and then unsubscribed but then u stated that since you have cancelled you now get 3 boxes and included boxycharm as one of the 3. Just curious as to which it is, you get boxycharm or you don’t? And if you don’t, what do you get and why. Hi there, I started with Ipsy and then birchbox but now I’m loving Glossy charm my June box had lots of full size goodies. So worth the 20.dollars. also I recently joined allure beauty box. I like ? Then Glossybox is one of my favorite boxes I always get nice products. So this one I stay with it.. I’m hooked on sub boxes. Birchbox I may cancelled and please try to get on the Sephora waiting list for their box, it’s called Sephora Play Box. My first box was for June I’m happy with my items. Especially the primer from Becca so I hope I didn’t confuse you. Lol. Enjoy pick Ipsy, glossybox, glossycharm, sephora play .. I can definitely reccomend GlossyBox! Their boxes and customer service are ABOVE PAR! and Beautyfix is on my radar too, I’d checkout all their past boxes and see if you think it fits you, as Liz has said it is a skincare heavy box so if that’s what your looking for then maybe it’s a good fit for you. THE ONE THING I SUGGEST TO EVERYBODY IS TO CHECK FOR A CUST. SVC # BECAUSE IF SOMETHING GOES WRONG YOUNDONT WANNA BE STUCK EMAILING BOTS AND IDIOTS WITH THE COMPREHENSION OF AN ANT! Allure is another good box with consistently good products but customer service can be sketchy and you got to ride their butts when a problem occurs if you want to get it resolved! They have a phone # and email and social media which I had to use all 3 to get assistance. Back to your question though glossy box rocks! So i highly reccomend it to you! Best of luck to you ? I get all three and love them but here are the differences between them that I have noticed: BeautyFix has more products for your skin and hair and less makeup than the other two. Boxycharm is always full size products. I have a hard time deciding between Boxycharm and Glossybox because there is always one or two products I absolutely love in each and the other products I like and don’t mind getting at all. Check out the reviewsame on this site or the past boxes on their sites to help you decide. Good luck! I currently subcribe to Boxycharm, which is awesome, highly recommend. I also subscribe to ipsy, sephora play, beautybox5. I love them all. Beautybox5 always sends me really cool tools as well, such as eyelash curlers, hair clips, fingernail polish, brushes, highlighters and other great products. I love BB5! I think Ipsy is great because you get a makeup bag each month, each one completely different and I love getting surprised. I got my daughter a subscription to Facetory, which is face mask sub service that she loves. She gets wonderful masks to try each month and its only 7 a month. I hope this helps, any of these you can’t go wrong. I mostly used K-beauty and I do not think 3B is worth the money. I got it one month and canceled. For $9 you can get mostly full-size with Mishibox. I think you need full-size with Korean products. I want them all! I currently have Birchbox, Ipsy, Fabfitfun, Walmart, and I am on the wait list for Play AND i buy the Target boxes when they are available. Considering adding Boxy Charm or the LF box mentioned in the comments. So hard to decide. Haha we both have the same addiction. I subscribe to ipsy, birchbox, boxycharm, walmart, target, and fabfitfun. I started my beauty box subscriptions with Birchbox, adding Ipsy, Boxycharm and Glossybox. I tried Lookfantastic out of the UK and Allure. Consistently Boxycharm knocks it out of the ballpark monthly which made me decide to renew my sub as an annual. Glossybox I was shocked to see is not included nor is Lookfantastic in this list. Glossybox has had very few meh boxes that I have received but I do not anticipate me to use everything in every box I receive. I have renewed my Lookfantastic for 6 months as their boxing and their samples are deluxe or full size and top notch. Ipsy is a deal but caters more to the 18-30 demographic and than me. I have had more misses than hits with them and gave them a full year at month to month to see if they would improve. I will most likely cancel them after the coming month. Birchbox is excellent but I have received less than stellar boxes with them and their samples get smaller and smaller. The Korean box last month was horrible and a waste of my subscription. I contacted their customer service about my disappointment and they at least offered to refund my box cost to me. Birchbox has the best customer service. I am getting bored with Birchbox and most likely will cancel them in the not too distant future. I was impressed with Allure. I was spending too much on beauty subs and cancelled them after 2 boxes. I found their samples to be the samples I could receive from my local Nordstrom, Macys, or Bloomingdales beauty counters. I am going to try our Goodbeing and from reading here believe it should be an excellent experience. If I could only have one it would be Boxycharm as it is truly the best bang for your buck. I love Birchbox, Glossybox, Allure, and Beautybox5. It is more compact but I swapped out my Ipsy for it and have been happy. Allure’s mini mag and editor videos are the best. I like it because they are honest instead of hyping the product beyond actuality. They have the best selection for the buck. Glossybox feels so luxe! It is worth the splurge. I love the ability to choose samples and specialty boxes with Birchbox. However, if I get one more red, bright coral or hot pink lipstick/gloss , I will go crazy! All of the boxes tend to send me the same shades. I’d really like some plums and berries once in a while. Ipsy had cute packaging but the products seemed bargain basement. Beautybox5 has no cute packaging but the products are more interesting and varied for the same price. I have a few of these…I used to have ipsy but decided I needed to choose between ipsy and Birchbox. Birchbox review points kept me as a customer. I have had good months with Birchbox and only one bad one (teeny tiny samples). I have definitely put the review points to good use and ordered products from them multiple times. Walmart’s first box was amazing, but this last one was a bust big time. For $5 I am keeping the gamble going, but I did lower my age range to 20-something rather than the 40 I am. The boxes just seem better in the younger range. I added BoxyCharm a few months back and loooove it! So much stuff for $21! Seriously good box. I get Target just about every time. I have yet to be told it’s sold out–but they do go quickly. Make sure to sign up for the alerts that Liz sends out. That’s helped me every time. I am always seriously tempted by Allure but I keep saying I don’t need any more beauty items. Yuzen is really tempting as well with the spa focus. I went ahead and put my email in for the long shot that is Play. We’ll see. Thanks for the great list! I just subscribed to Yuzen (hadn’t heard of) and Glowing Beets – I just stopped my Goodebeing subscription so will test these instead! As of Sunday Boxycharm was full and wait listing new subscribers. Just my few cents here. Ipsy is fine for about a year; there are only so many black eyeliners and Barbie pink lip products a person can take (or need). The New Beauty Test Tube does send a lot of bang for the buck but they seem to send the same brands over and over, such as Mally, Philosophy, etc. Not bad products at all, just no variety tube to tube. As for Julep Maven, I had terrible issues with their billing about two years ago, so much so that I could never recommend them as I think they’re unethical, bordering on crooks. It’s a shame because they do have good products. As for the positive, I do enjoy Goodebox (Goodbeing) and have yet to be disappointed by them 2+ years later. Their brand selection is constantly evolving, they send a good mix of product sizes, and I’ve yet to receive the same item twice. Totally agree with you Carrie….I canceled my Ipsy a few months ago. I told them no eyeliner or lipstick. After about 4 months of them not listening, and sending another black eyeliner and horrible lipstick, I had to cancel. Really love the Target Beauty Box, have not been disappointed with them yet. Adding my 2 cents. I think Glossybox has gotten much better with delivery, I get my box early in the month now, and it seems to be much more consistent with products, not all those variations that drove us crazy for a while. I got the Gilt City deal that makes it $8.75 per box for one year, which I think can’t be beat for the quality of products they have been including. Also, I hope everyone gets a chance at Sephora. I do receive it, and saw in the FAQs that they plan the national launch in “early 2016”, so fingers crossed for all who are waiting. Speaking of waiting, what the heck happened to the Macy’s box? Been on that wait list for months, with no updates. Any news? I love vegan beauty boxes and am curious as to what the difference is in “natural” and “non-toxic” boxes? What does “natural” mean in the context of a beauty box? Are there animal products or not? Do they say that because they don’t want to commit to the vegan label? A lot of natural boxes that don’t advertise as vegan usually include ingredients like beeswax in some of their products. Hope that helps! Thanks for making this comprehensive list. I have used the Target Box, Glowing Beets (wow!!!) and La Ritzy all with positive experience. Glowing Beets just had such an incredible blend of high quality products and for a 40 year old like me was perfect. La Ritzy is really high value, I don’t know ho they manage to do it but some items were for women a decade younger than myself. I did a grab bag from Terra Bella recently and so badly wanted to be excited about their service because I believe in what they stand for but it was underwhelming and turned me off from their actual subscription box. It was low value and in the case of 1 product I do not even know what it does. That could just be a quirk for what they sent in my box and I would be open to better reviews for this company. I’m embarrassed to admit how many of these I’ve been subscribed to in the past…pretty much all of the top 15 except the ones for women of color and the hair dye one. Do not be embarrassed. Is it more embarrassing to stay with the same old products and never try anything new? Or is it more embarrassing to be adventurous and see what is out there? Here’s to not being in a rut! Hi Ragan- do you ever trade things? I have a whole box of “stuff” from subs from last year. I would love to trade with you…not many of the traders are over 40. I’ve never heard of Yuzen, but I’m intrigued! I think I’ll be signing up for it. As for Cocotique, I prefer the Essence Beauty box over Cocotique. The reason for that is that Cocotique sends out a lot of repeated items and brands. None of their boxes wowed me, which is sad because they have a lot of potential. My current favorites are Mishibox for K-Beauty (although I’m not currently subscribed due to having tooooo much stuff right now to try). I feel like they do a good mix of product types and provide both mainstay brands/products and more interesting things that people who are really into K-beauty may not have tried. And on the note of having too much crap, BeautyDNA is my subscription addiction response to that lol. I still get a box every month, but it is more likely to 1. be something that works for me, 2. Be higher value. You get one product, so you don’t have a ton of stuff laying around to try, and it fulfills my need to get a new box each month. Yeah, you’ll get some misses, but IMO if you fill out your profile well they shouldn’t be frequent. They do send out one or two brands that make me side-eye and I wish they’d stop that partnership because it makes them look bad, but otherwise my experience had been really positive. I really love GlossyBox which wasn’t mentioned. They also send 5 or so deluxe and full size products each month, and I’m always so excited for this! It’s similar to BoxyCharm, but I prefer GlossyBox. I think they send more beauty items and less makeup which I tend to prefer. I love Glossy too! I cut back on my box spending this year, but kept Glossy and Birchbox. I like GlossyBox but I don’t LOVE it. Also I feel like the boxes are pretty hit and miss for me. I also didn’t understand why Glossybox was missed. I think I prefer Glossybox over Boxycharm too and for the same reasons. But, I continue to receive both. I have been disappointed with Ipsy lately and would definitely have Glossybox on the list over them also. I guess everyone has their own favorites. Thanks so much for posting, Liz! I think I need to give Yuzen a try 🙂 I like that it’s once a quarter- gives me plenty of time to use everything in the box before receiving the next one! I highly recommend the Look Fantastic beauty box. It’s from the UK based shopping site, Look Fantastic. It’s $22 a month with free international shipping. I love it! It’s mostly skincare, but they include a lot of high end lines. There’s usually about 5 or so items that are mostly deluxe samples or travel sizes. The most recent January box had NUXE, Lancer, and Darphin products which are three of my favorite brands. It’s definitely worth looking in to. Sometimes they have past boxes available in their shop too. It’s so crazy MSA still has not reviewed this box! It’s by far the best beauty box out there for the value. I’ve been subscribed for over a year and they consistently send out quality products in generous sizes. I am now an annual subscriber and it’s about $17 a box with free shipping! I canceled all other beauty boxes, they just aren’t as good as LF. I know, right? Look Fantastic is so good! Though you might not get as many full sized products like similarly priced beauty boxes, the products include higher end brands that aren’t as frequent in the sub box game. I missed out on the box that had Eve Lom and regret it. One thing to note for anyone wanting to try LF, you can pay month to month or a few months in advance. If you choose to buy month to month, you have to place an order each month. They don’t seem to have automatic billing for monthly payments. They don’t seem to send spoilers either, but they will tell you what the box value will be. I am interested in this. Do they bill a straight $22 for US shipments or does it fluctuate depending on the dollar/pound ratio? For the items you receive, are they the European versions or the US versions (of items that are sold both places)? Thanks! A few months back it was $21. So I imagine there’s a bit of an exchange flux, but nothing very dramatic. I believe they send a mix of versions, but a lot of the brands they sell are local UK brands or other European brands. Goodbeing also knocks it out of the park for me month after month. I have yet to be disappointed in their products and their boxes are well curated. Regarding NBTT, it’s not an actual subscription to New Beauty magazine subscribers receive but that quarter’s issue. I was subbed for almost 2 years continuously and got exactly 1 magazine ever. I know quite a few others with the same experience. Their questions about it, like mine, were ignored and/or promised to be resolved then forgotten. I loved the sub and agree they get repetitive (it actually doesn’t take long to see repetition since I got duplicates in 3 consecutive tubes in the last year). I made many product and brand discoveries with them which is why I stuck around. Eventually the value took a nosedive when they started sending multiple food samples and treating them as though they were full size items. My last tube was missing 2 of the higher value products and it took 7 weeks to get them after I sent the request. And only then after I was accused of trying to scam them for a free lipgloss. Because clearly that’s what I was after, um hardly. Not the best customer service experience. I decided no discovery is worth craptastic CS stress so I’ve decided to cut subs loose when they become more stress than value. It’s a cost benefit analysis for me or as my husband says its one of the hazards of me being a lawyer in applying logic to fun. I just say I’m too old to put up with stupidity and rudeness (and I’m a mom of 3 teens-4 kids total, so that says something in and of itself, lol). If I do ever see a positive trend developing in tube value I will consider resubbing but not as things exist now. Thanks for letting me know about the magazine – I’ll update the post. (And sorry to hear about your customer care experience). I want to try Glowing Beets and Terra Bella. I will likely add one or the other to my habit soon. I am surprised LaRitzy did not make the cut or get a mention. I think they have sent out some awesome boxes.